This lace cut-out hand-made Ketuba from Afikomen Celebrations is embellished with gold foil and hand written calligraphy. We framed this masterpiece by floating the lacy filagree off of the silk backing with acid-free rear matting. 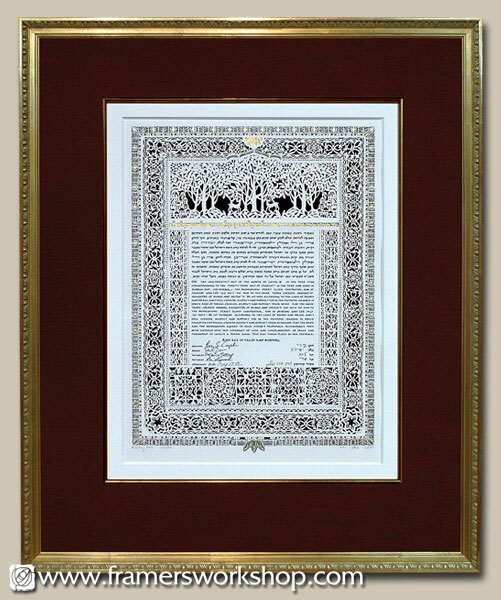 On the face, we matted the Ketubah with an 8 ply acid-free rag mat and a matching silk hand wrapped mat lined with a gold fillet. 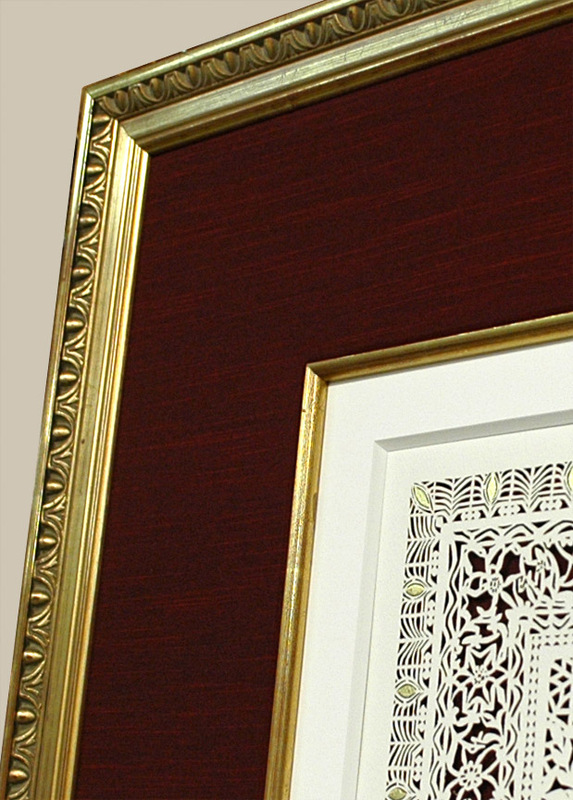 The frame is a Senelar Larson-Juhl water-guilded gold Louis the XVI Craig Ponzio Design.